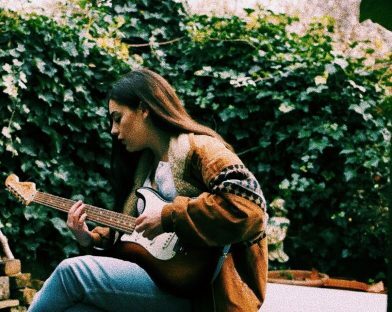 Breaking through with her stunning debut EP ‘Blue’ at the start of last year, Greek London-based songwriter Eleni Drake has followed up with delicious new single ‘4’. 2018 proved to be an extremely productive year for London-based singer-songwriter Eleni Drake. Having garnered a sync on Netflix series ‘Black Lightning’ with her single ‘Honey’, as well as working alongside a flurry of influential songwriters including John Foyle (Years & Years, FKA twigs), Freedo (Zara Larsson), Jez Ashurst (Tom Walker) and many more, the frontwoman now looks to cement herself in the new year with the announcement of her sophomore EP ‘’Songs On Sundays’. Channelling a mixture of her initial influences such as Nina Simone and Ella Fitzgerald, and blending them with the contemporary soul sound of Jorja Smith, ‘Songs On Sundays’ aims to project the frontwoman in a more luxurious light. Keeping the production minimal and her voice the centre of attention, this new release looks to pick up where her debut left off and add a more diverse and captivating chapter to her growing catalogue. Led up by the new single ‘4’, the track sits as one of her most ear piquing releases to date. Bringing in smooth and ambient RnB production, Eleni’s vocals sit gloriously over this laid-back bed of bass and beats, adding a more trip-hop vibe to the record. Speaking about the new cut, she explains, “Following the ‘Blue’ EP, this song is about the same person, but I’ve realised a few more things about the person who I once loved, and have come to the realisation that they are a nasty person, despite me painting them to be once such a lovely force in my life in the ‘Blue’ era. After the love bubble had disappeared, I realised what my friends meant, when they said that person was actually “scum” and how delusional I was to even get into a relationship with this person in the first place. ‘Songs On Sundays’ is expected to be released on the 29th March 2019, and will include the new single ‘4’ as well as the previously unveiled cut ‘Untitled’, which is available to stream and download now.